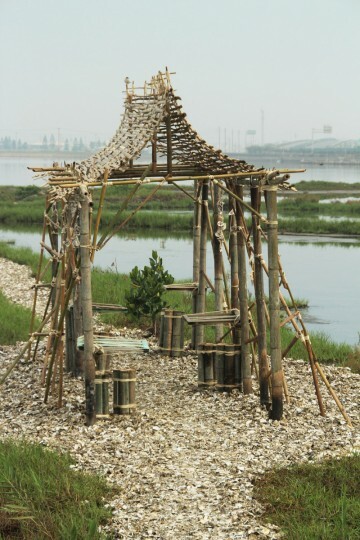 A bamboo structure built as a passage from dry land out to the wetlands. 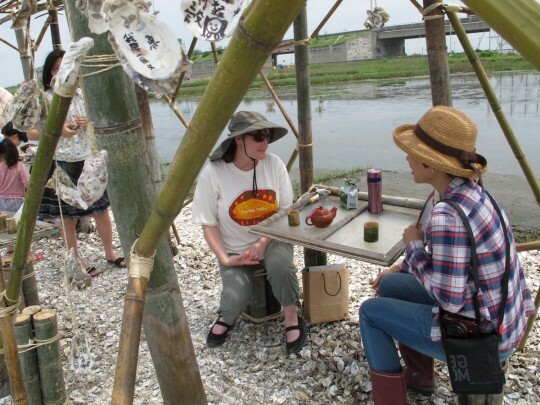 To serve as a place for sharing tea and looking out over the environment from tables constructed out of repurposed windows. 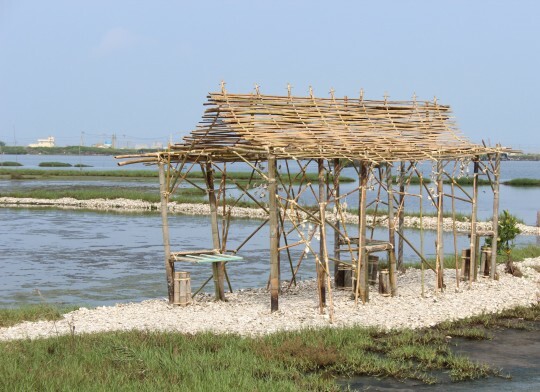 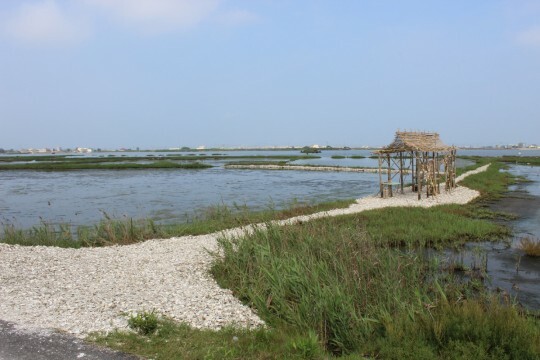 The teahouse stands over 3 tons of recycled oyster shells that cover the ground and lead out into the wetlands. 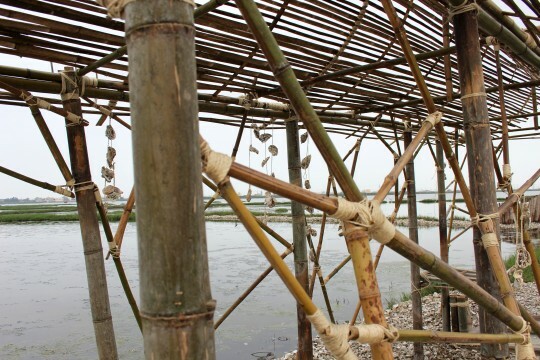 Dangling from the walls are messages about the wetlands from the local community written on oyster shells.